Read about FourFourTwo’s Performance Editor Ben Welch’s experiences at our Pilates studio and his thoughts about Pilates and why real men should be doing it too! 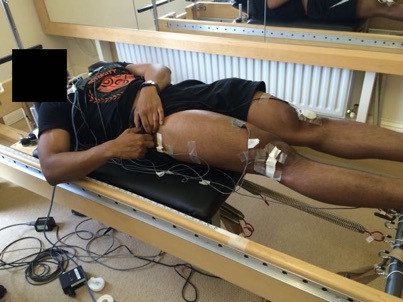 John consults on astronaut back pain and astronaut exercise countermeasures with Dr David Green of King’s College London. 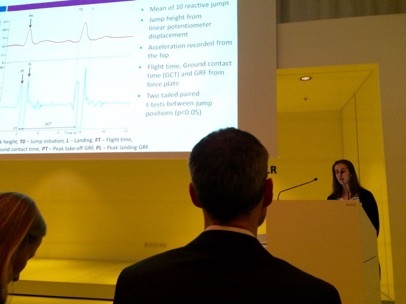 Dr Green is programme director of the MSc in Space Physiology & Health at King’s College. 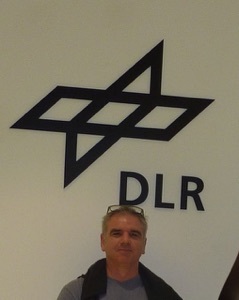 John’s work has involved NASA’s lead bone scientists and European Space Agency’s Technical Research Centre in Holland. Seen here (right) at Teddington Pilates Studio, Dr Green is showing the astronaut "SkinSuit", destined for space later that year: It is skin-tight and made of bi-directional elastics, the SkinSuit has been designed to mimic the impact of gravity on the body to reduce the debilitating physical effects space flights have on astronauts' bodies. 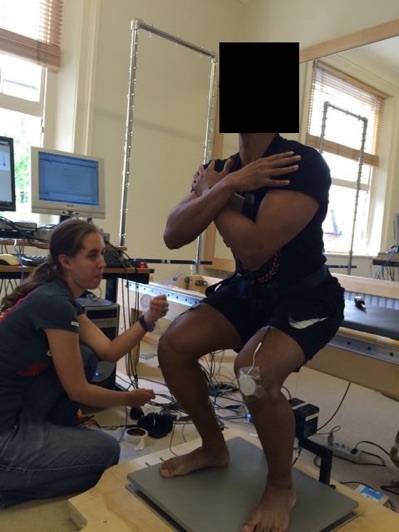 In the weightless conditions in space, astronauts can lose up to 2 per cent bone mass per month. Their spines can also stretch by up to 7cms, with most suffering mild to debilitating pain. Following flight, astronauts have four times the risk of herniated discs as the general population. The exercise countermeasures developed by Johnny Kennett are designed to target these effects. European Space Agency’s Danish astronaut Andreas Mogensen wearing the SkinSuit on board the International Space Station. 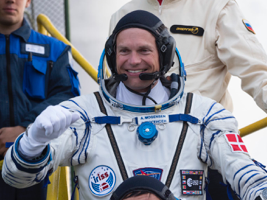 On 3rd September 2015, Denmark's first ever astronaut, Andreas Mogensen, took off from Baikonur Cosmodrome in Russia for the International Space Station (ISS). Andreas brought with him the SkinSuit. 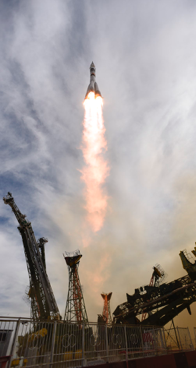 It took Andreas' Soyuz space craft two days to catch up with the ISS and dock. Where Andreas was busy conducting European science experiments. Andreas is seen above wearing the SkinSuit and exercising on the exercise bike onboard the International Space Station. This bike has no saddle. His feet are clipped in to the peddles and the "bike" is attached to the walls of the space station by movement absorbing connectors, preventing forces and the vibration of cycling affecting the space station and movement sensitive experiments onboard. Wearing the SkinSuit for the first time in space, Andreas’ height was measured before and afterwards with the help of NASA astronaut Scott Kelly. He wore the SkinSuit for around six hours to assess if it helps reduce back pain that many astronauts report in space as their spin "stretches" in weightlessness. 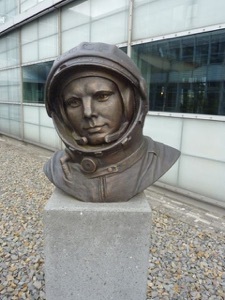 Without the SkinSuit, Andreas could grow up to 6 to 7 cm in height whilst in space. Andreas conducted many other tasks whilst wearing the SkinSuit. The data collated will be assessed and a successful conclusion will enable further development and benefits for long term hospital patients and their recovery. The English Channel is an iconic stretch of water with so much history. Since 1875 when Captain Webb was the first person to make a successful crossing it has become the swim that people from all around the world want to achieve. Each year around 35 crossings are successful, compared to 350 successful ascents of Everest. The rules stipulate that swimmers must complete the swim in the same manner as Captain Webb, which means one swimsuit (wetsuits not allowed), one hat and a pair of goggles. There is no physical contact with anyone on your pilot boat - until completed or the swim is abandoned. And to answer the question everyone ask, Sue replies... "No, I won't be covered in lard or goose fat, which was never used to provide insulation anyway - it was to prevent friction burns from swimsuit straps! I will be using a very unglamorous mix of Vaseline and Lanolin, very effective but rather smelly." 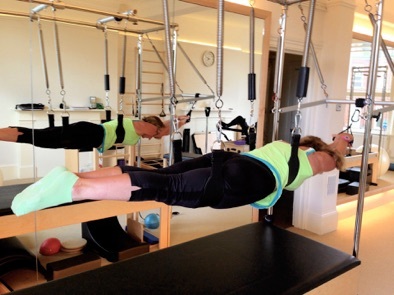 ... Sue's programme at Teddington Pilates did involve rather a lot of glute strengthening exercises which Sue came to know and love; we were also very creative developing exercises that will benefit swimmers; you may have seen Sue suspended from the trapeze table like Tom Crusie on a mission impossible, only Sue had a real mission. Our experience with performers and other sports people was invaluable to Sue; and when in July, Sue was ready for another channel attempt, only it lasted 4 hours due to foul weather, it was thought wiser to walk away from this one and come back when mother nature was in a better mood. Sue set off in her two piece bikini style top and bottoms, hat and googles on Thursday 8th October 2015; the water at 15 degrees centigrade; Sue's swim included 6 solid hours of swimming through a massive shoal of jellyfish, which made her support team onboard the pilot boat wince! Constantly stung for 6 hours, Sue had to alter her breathing technique to ensure she did not ingest any small jellyfish. After a 15 plus hours of continues swimming - Sue did it! 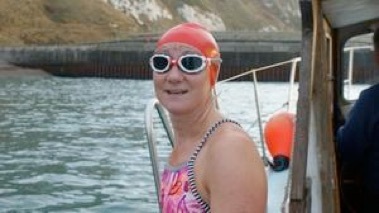 Sue completed her dream of swimming the English Channel. I think this achievement ranks up there with one of the greatest achievements I have known an individual to complete: Not only is the training immense; swimming around Dover Harbour for hours at a time, weekend after weekend; strength and muscle balancing at the Pilates Studio and the gym; acclimatisation to the cold water with ice swims! The logistics involved in having your team ready, the pilot boat and the weather; and, the mental concentration to stay focused and safe for 15 plus hours in the water: To have done all of this three times before - many would have given up. But Sue did not. Congratulations. 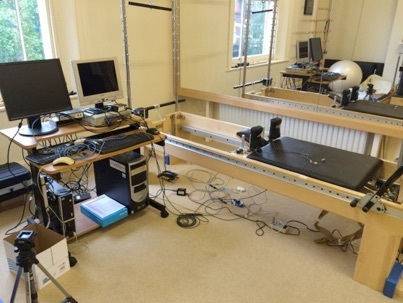 King's College London's Space Physiology department are working with us at Teddington Pilates Studio researching and testing our work developed for astronauts and offering future benefits to the rest of us. 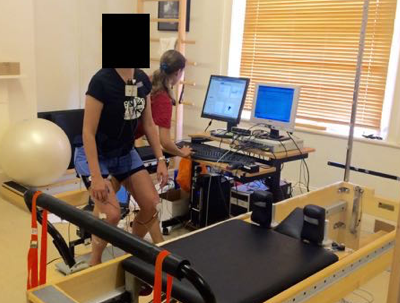 For over five years we have been developing countermeasure exercises for the astronaut population and for the benefit of the millions of sufferers of low bone mineral density (osteopenia and osteoporosis). 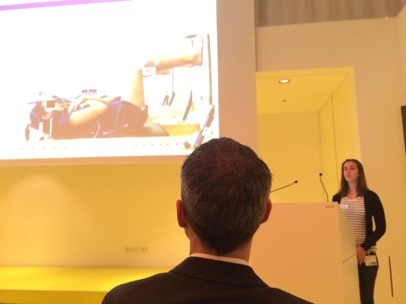 Our research has lead talks with NASA’s chief scientists and NASA bone specialists; Support from the UK Space Agency; visits and presentations to ESA (European Space Agency), European Astronaut Centre and DLR (German Space Agency); the support and commendation from the Head of Space Medicine at the European Space Agency and the interest from the National Osteoporosis Society. 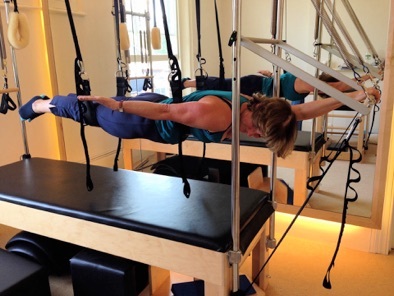 We are working in collaboration with King's College London and are furthering our knowledge will be undertaking PhD research, based at Teddington Pilates Studio. Seen below, we turned part of our studio into a physiology laboratory to research and development an MSc in Space Physiology and Human research project. 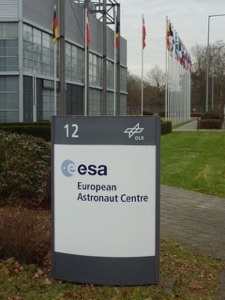 The findings were then presented in Cologne, Germany at DLR, the German Space Agency.